Imagine you’ve got an important meeting with investors in a couple of hours and suddenly realize that you’ve lost the key to the file cabinet. With all your presentation files locked in it, the only way out is to get the lock opened up. But how? You can try forcing the lock open or breaking the cabinet, but it won’t work; even worse, you’ll end up with damage that would require extensive repairs. This is why, every business should partner with a commercial locksmith service agency, so that they can get a professional’s assistance when needed, without your daily business activities taking a hit. Don’t have one? Do you own an establishment in Tacoma, WA area? Tacoma Lock And Key could be yours! There can be no better commercial locksmith service partner than us. 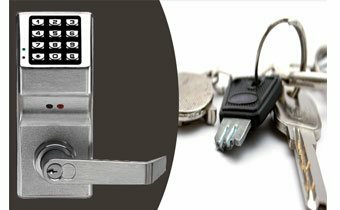 Choose the best, choose Tacoma Lock And Key. Dial 253-271-3436!